Art has been one of the best ways to describe the social, political and economic issues of our society. However, we have also seen that our artists don’t get the admiration they deserve and they don’t get the intrinsic value for their Art. Today, we will tell you about the 0xowns.art, which is a revolutionary platform where art meets blockchain. Let’s get into it. Cryptocurrencies have enormous potential to change our world and we are seeing many tech giants like IBM, Microsoft is exploring the benefits of using cryptocurrencies in their businesses. 0xowns.art is a revolutionary platform which uses the power of blockchain and brings its benefits to the art community. This platform is completely devoted to the purchase and sale of Arts. 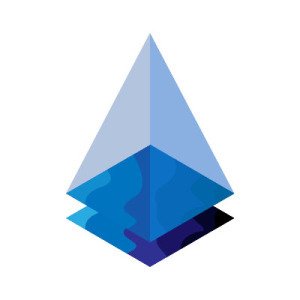 It uses the Ethereum platform which is a very popular open-source blockchain platform. If we take a look at the history we see that many artists didn’t get the value of their art what they deserve. For example, Artists like Pietro Manzoni who was famous for an ironic approach to avant-grade art. He got the price of $37 for his famous art – a series of cans incapable of being e-rayed and 80 after his death, one of the tins was sold for $300,000. It shows that the market doesn’t determine the intrinsic value of the art but that is not the case on 0xowns.art. You can easily buy and sell the arts on this platform at the right price. 0xowns.art uses the state of the art Ethereum platform which is an open-source platform and it is not controlled by any central authority. When you visit the 0xowns.art, you can check the current market value of your art or any other art and if you are interested in purchasing it you can also it. similarly, if you want o sale your art, you can simply set your resale price and you are all set to sell your art. When your set price is matched by a buyer, the ownership will be transferred to him and your account will be credited with the Ethereum. All the transactions are recorded on the Ethereum blockchain which means they can’t be corrupted and tempered. Once the ownership is transferred it can’t be reverse which means you will have the full authority. You can either put it up for resale or you can keep it. Similarly, the whole process of setting up the wallet is also very easy. When you visit the 0xowns.art, you will see the prompt to set up your wallet. You can either restore your wallet by putting the 12-word backup phrase or you can proceed with setting up the new wallet. It is up to you which option you choose. Please note that for now, the 0xowns.art is only supported on Opera and it won’t work on Chrome Browser. 0xowns.art is a milestone for the art community as it brings the awesomeness of blockchain in the art world and it will help artists to get the true value for their Art. If you have any questions, you can contact [email protected].